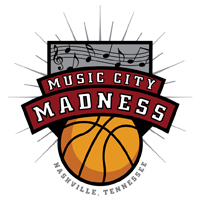 Team Po Po completed their season by traveling back to Franklin, TN to compete in the Music City Madness tournament. Although, the team finished 2-3 in the event, college coaches were in attendance at 3 of the 5 games. This gave the players an opportunity to showcase their skills to not only assistant coaches but head college coaches. It also gave college coaches a preview of what’s to come from the Team Po Po program. One player that took advantage of this event was Deja Faulkner. She advanced her game to another level by averaging 16 points per game. She took her game from the block area and demonstrated that she can score from the free throw and elbow areas of the court also. Rachelle Parks had a break out performance scoring 23 points in the first game of the tournament. Getting a lot of her points from offensive rebounds and free throws. Every player within the Team Po Po organization improved and added to their skill set. They will continue to work in the upcoming months with individual work outs and by participating in upcoming Patosha Jeffery events, Intensity Camp, Fall Exposure League and Pre-Season Show Off Camp. To view highlights from the players, click on the individual’s name on the roster page. To watch games from the 2012 season, click here.